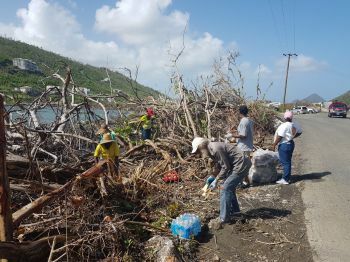 This initiative was started in an effort to help preserve the mangroves that were damaged during the hurricane. 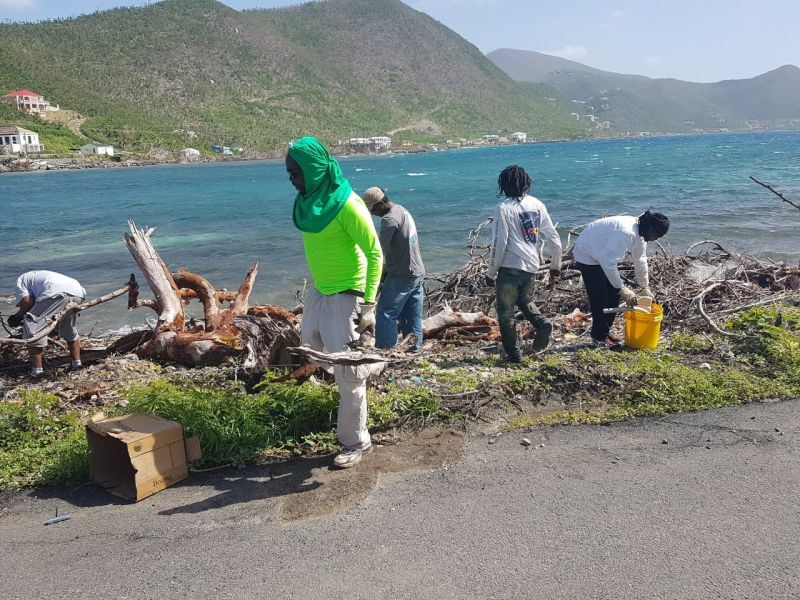 The clean-up campaign continued on Saturday October 21, 2017 in West End, from the bridge at Frenchman's Cay. 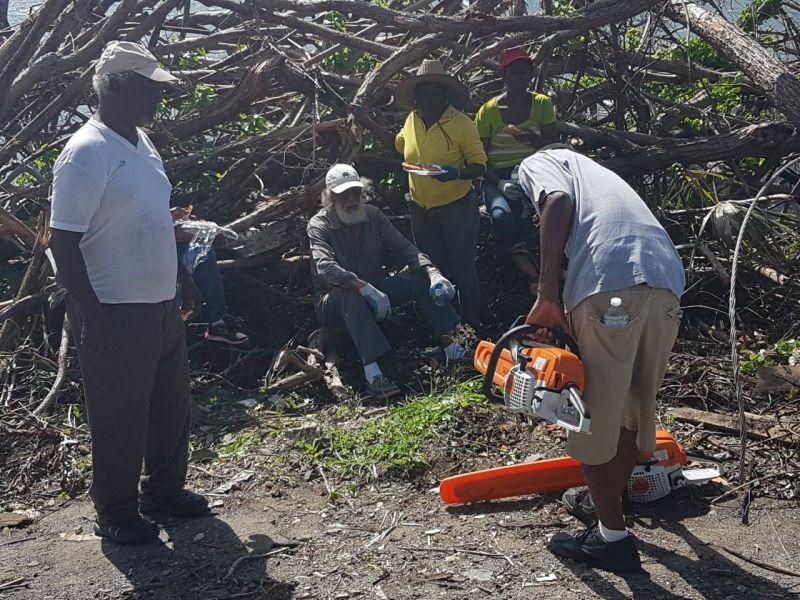 "When we're finished with the mangrove area in the West it will look even better than before Hurricanes Irma and Maria," emphasised Hon Fahie. The Opposition Leader is pleading for more persons to join in the community clean-up campaign to bring back the territory to where it once was and better. He said, "More hands always makes the burden lighter. Great community spirit. Great BVI pride. Together we will make the BVI stronger than ever. To God be the glory." In an interview with Deborah A. Lewis, a resident of West End, she stated that she appreciates how the community is working together. "I really love how the West End community is coming together to rebuild our territory. Slowly but surely we will build back our home," said Ms Lewis, with a smile on her face. 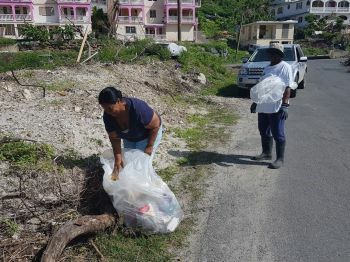 She also commented that she appreciates how Hon Fahie is assisting with the clean-up, adding that it shows that he is a "selfless" person. Meanwhile, another resident expressed his gratitude for the initiative to save what is left of the mangroves. "These mangroves are very important to our shorelines and they should be protected," explained the resident while noting that persons take the mangroves for granted. Another resident who wished to remain anonymous said, "Hon Fahie is a great man. Since the hurricane he been helping the district rebuild. Andrew Fahie, you the boss," said the resident. 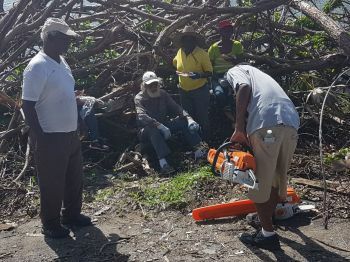 Way to go Hon.Fahie and West End.If all communities do the same and more BVI will surely be back on its feet in less than no time.Provision of gears,tools and refreshments will sure help.yes little by little. I am glad to hear that the mangroves are even being considered. Let's hope that fisheries protected area springs back to life. And maybe those boaters using the area will be more careful with oil and trash this time around. I also worry about the gigantic landfill project further down that shouldn't be there. In studying how that survived the storm will give us clues at why the ferry dock shouldn't be moved down there. All I see is a taking public amenities (the shore line, view, coral) for private gain. Let's hope Fahie understands the implications as he helps West End get back on its feet. Kudos for at least that and the leadership that intales. Pride is certainly alive and well in West End ! West End is showing what Community is truly about. I don't live in West End but, I am giving them big props. That's the way to do it. 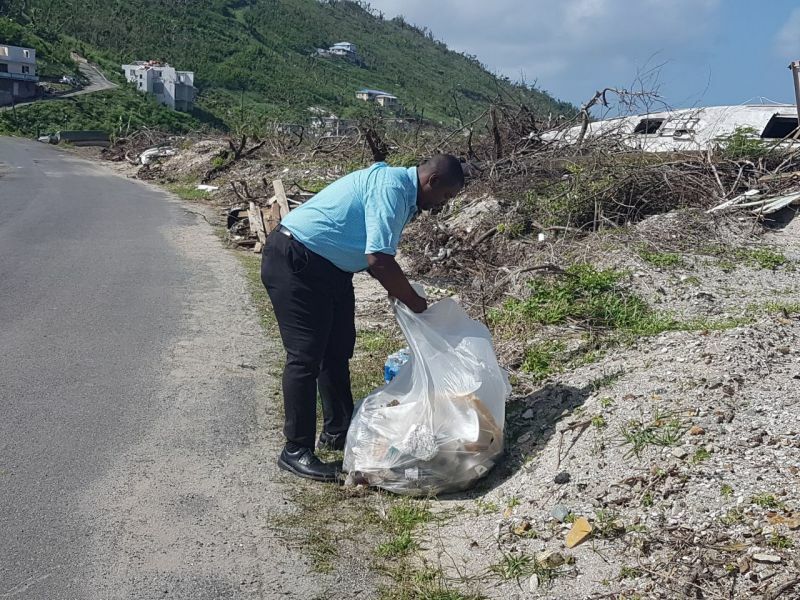 Fahie has also lead major community clean up campaigns in other parts of the 1st District namely Carrot Bay. This man is a true leader. He does what he does from the heart. He gives the people himself unconditionally. I never use to support Fahie but I do now 100%. Fahie is not just talk but one of a good heart who cares and leads by example. He's the real deal and has always been this way. Fahie has remain consistent since Hurricane IRMA with stellar leadership. Since IRMA he also keeps weekly meetings to update all 1st District Residents. He has also supplied us with food, water, ice and many other needed supplies during the 1st Disttict community's greatest time of need. GOD bless this man and his family forever. I am one who is guilty of not being a Fahie support at all in the past. I saw him as someone who wanted power. However after working closely with him since the Hurricanes I have now come to realize that he tells it like it is, works hard, prays alot, and has one of the purest hearts I have ever seen in a leader for a while. I have also found him to be very knowledgable, caring, he listens, he's a man of action & a very intelligent man. This man is real people and real people do Real things. Great job to all involved. To me the rest of the BVI and world is now seeing in Fahie what the first district has always seen and known about Fahie which is he's rough on the edges at times but a born true natural leader. @Clearly, with you 100%. I always see him as a fair person. I like Fahie because he don't say something and then try to Flip Flop like a lot of you know who does. Big up West End. You are setting a great example for your Community. Only If each district can follow this model the BVI will truly show that they are STRONG! #West End strong. Perfect example of a community standing strong together.